TOKYO (AP) — Yuki Yanagita hit a two-run walkoff home run in the bottom of the ninth inning Friday to lift Japan to a 7-6 win over the MLB All-Stars in the opening game of a six-game exhibition series. Juan Soto, Carlos Santana and Amed Rosario had all homered to give the MLB squad a 6-4 lead but reliever Kirby Yates couldn’t close out the game. Tsubasa Aizawa singled in a run to cut the lead to 6-5 before Yanagita’s dramatic blast to deep center before 44,943 at Tokyo Dome. 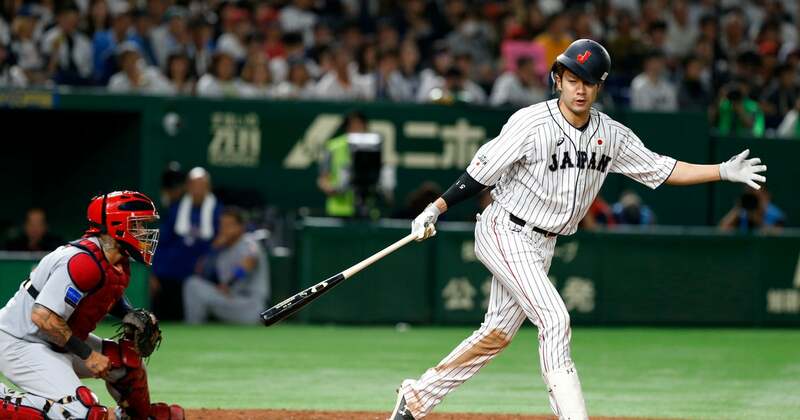 Santana hit a three-run homer in the fifth inning to give his team a 4-1 lead but Japan tied the game on a bases-clearing double by Shogo Akiyama in the bottom of the frame. Soto restored the lead for the MLB players in the sixth with an opposite-field two-run shot to left. Rosario hit a solo homer in the third inning.